Boris Shapiro is one of the many International Mini List-ers out there. In October of 1998 he visited The Netherlands and stayed with me a couple of days. A couple of Dutch Mini-List-ers took the chance to have a Mini M(ini)L(ist)M(eeting), baptized MLM 8.6 Beta. A MLM usually consists of Mini-List-ers meeting at some point, driving to a pub and hang out there talking about and looking at Mini's. And this one was no different. 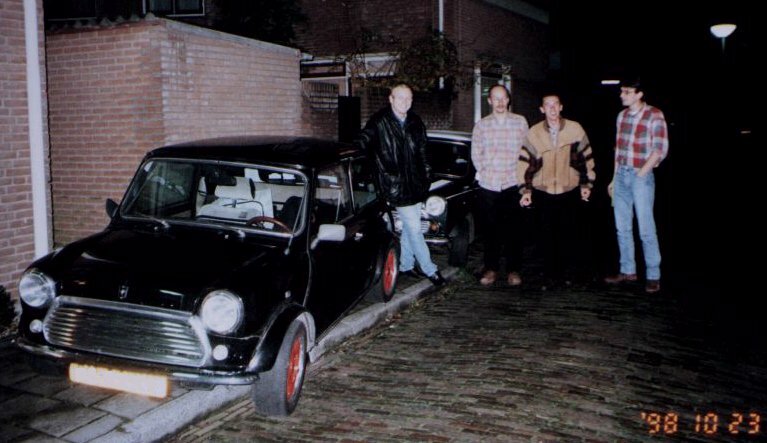 When the Smoke cleared, left standing were Henk and Arnound behind Arnoud's Park Lane, Theo next to his Cooper and me next to my Van. 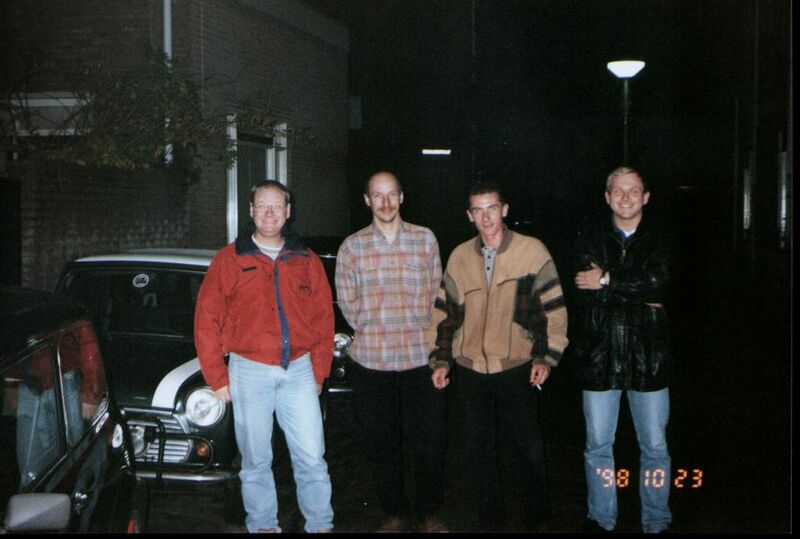 This lineup shows Henk, Theo, Boris and Arnoud. (Don't they look like thugs ?! :) This lineup shows Arnoud, Theo, Boris and me.